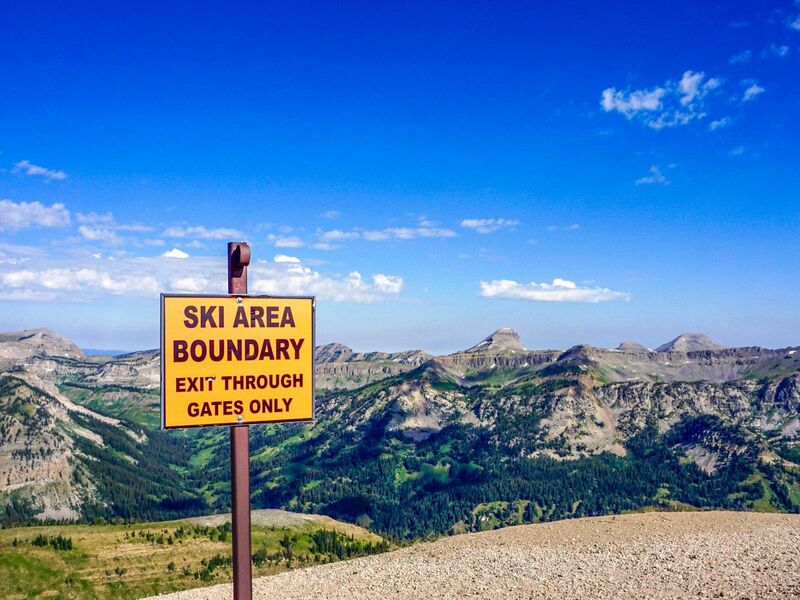 The Summit Trail at Jackson Hole Mountain Resort in the Tetons is one of a few different options at the ski hill. Scenically dense, the Summit Trail offers the most views per 1.0km. The aerial tram ride to the top grants easy access to the alpine. From the town of Jackson, head west then turn north on Highway 22. After crossing the Snake River turn right onto Moose Wilson Road and continue along it until you reach Teton Village. 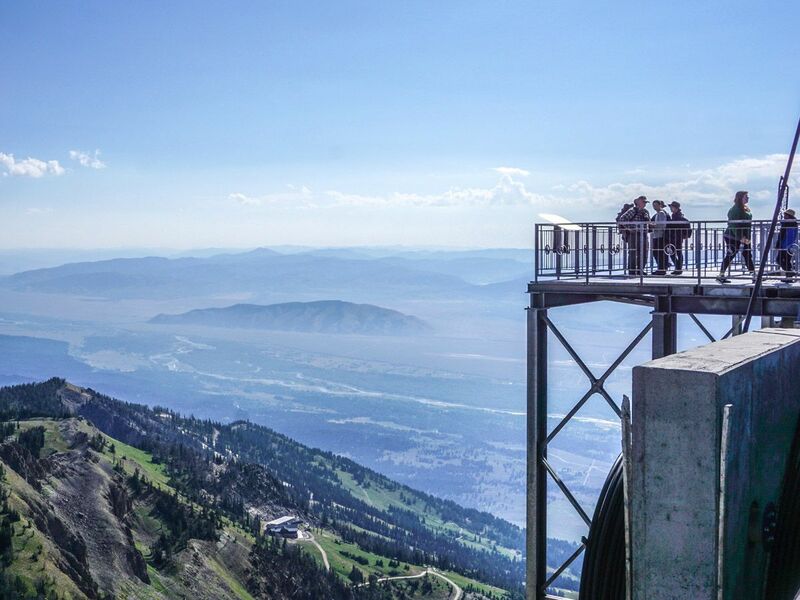 The wildly famous Jackson Hole Mountain Resort gives easy access to the south end of the Teton Range with its Aerial Tram to the top of Rendezvous Mountain. Information on the tram can be found on the jacksonhole.com website, and when you buy online, you can also save money on your ticket. There is a large parking area at the base of Teton Village, however it can fill up quickly, especially on weekends. Try to get there early to be sure of your spot! If you haven’t already purchased a ticket online, go towards the tramway to buy your ticket. 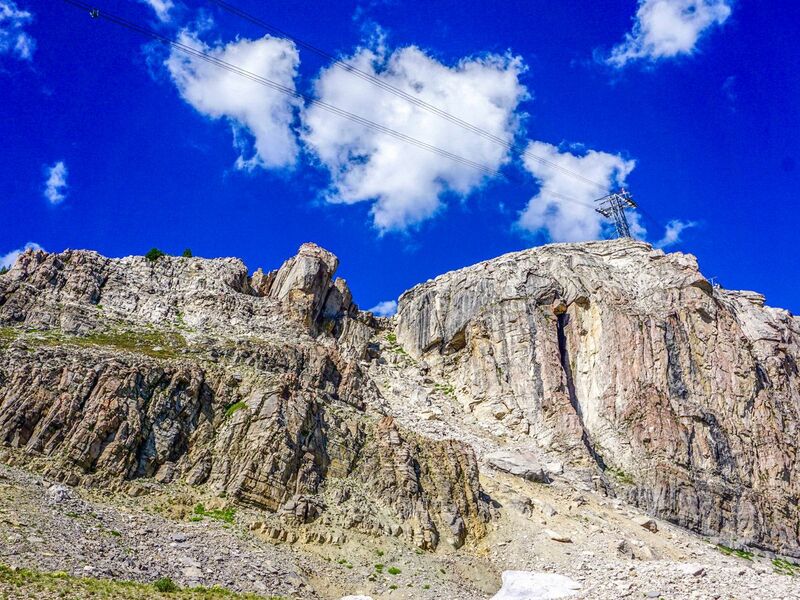 Ride the tram up the 1262m to the top of Rendezvous Mountain, and enjoy the glorious scenery as you do. 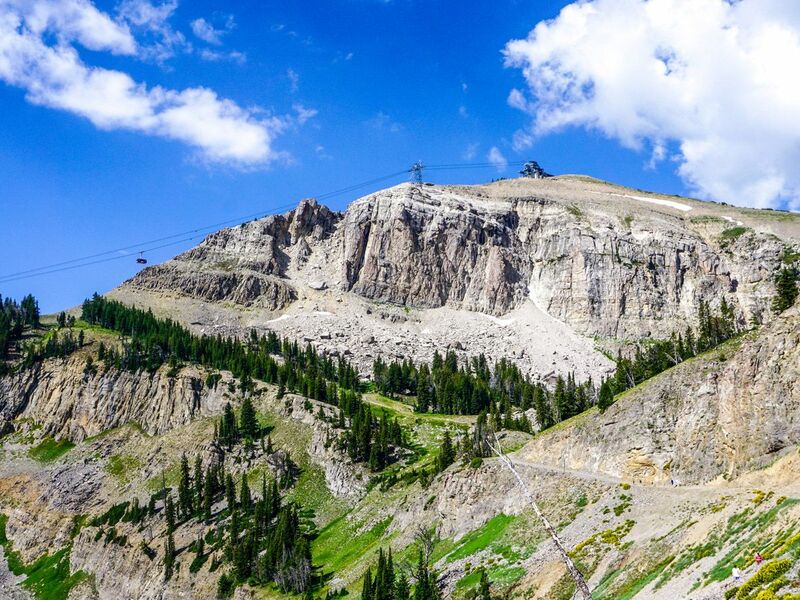 At the top of the tram, continue up the two flights of stairs to the summit of Rendezvous Mountain and look around at the magnificent Teton Summits. 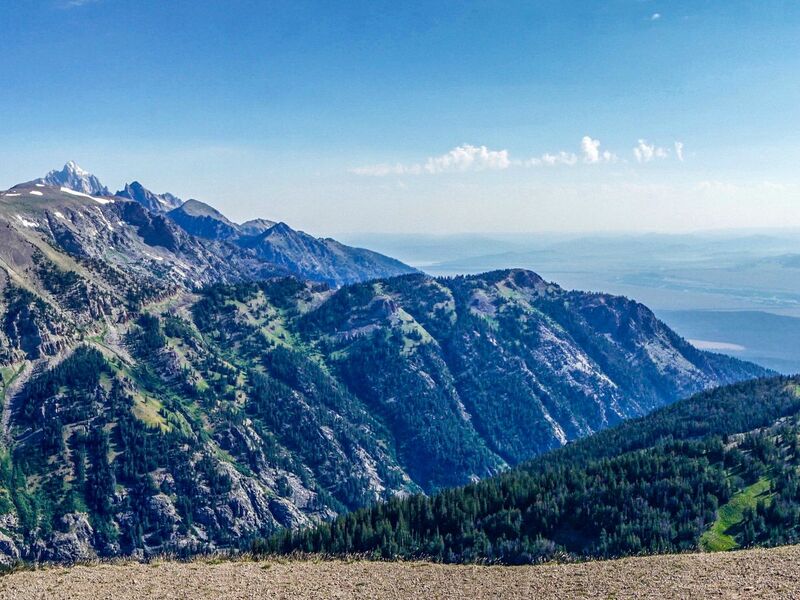 To the northeast, you will be able to see Grand Teton above several other peaks, and to the southwest, you’ll see another major summit, Cody Peak, just along the ridge. 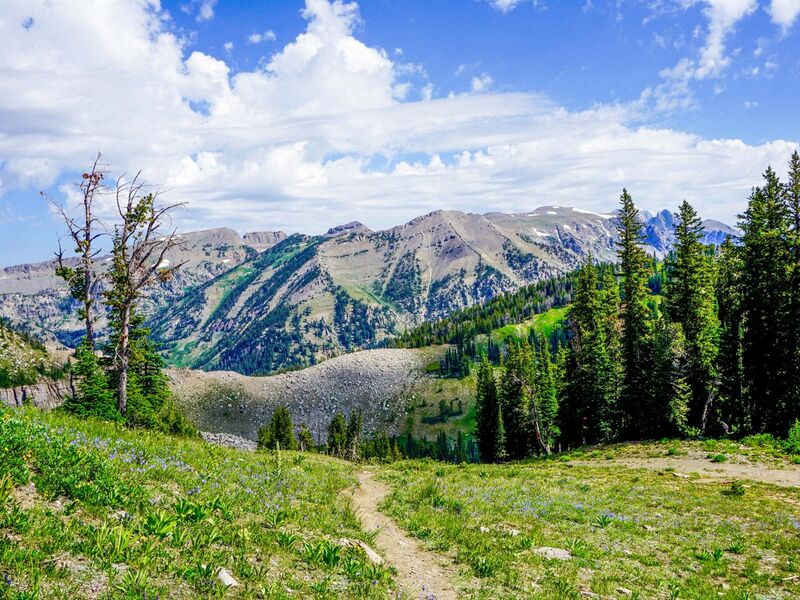 There are two good trails from the top of the tram: The Cirque Trail, which is narrow and not suitable for young children, and the Summit Trail, which follows a gravel road and is suitable for kids, though can be steep at times. We prefer the Summit Trail when with the family and it is the map shown on the website. Looking down on the base of Jackson Hole Resort, head to your right, down a ridge and away from the rest of Jackson Hole Ski Resort. The Summit Trail heads down four long switchbacks, with great areas for photos in the opposite direction from the resort to your west. 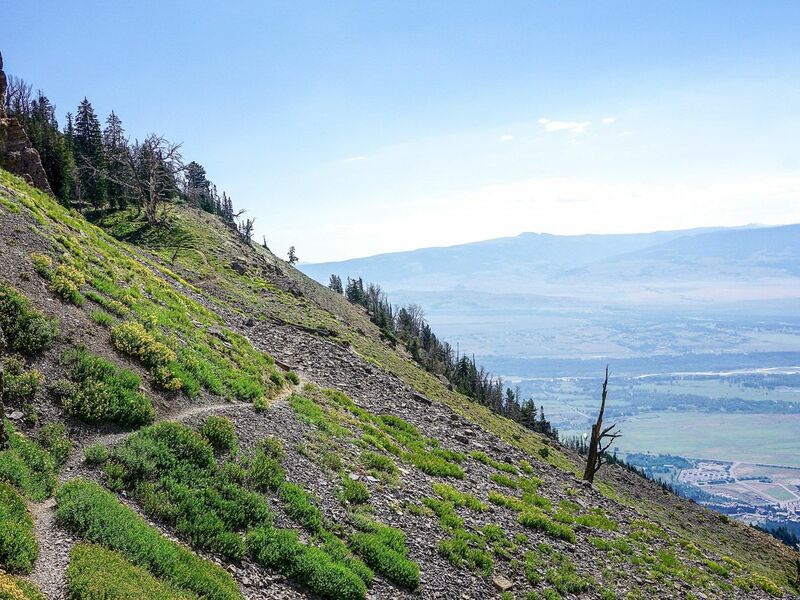 On the fourth switchback you will be heading back towards the ski lifts and ski runs of Jackson Hole. This path is the ski run known as Laramie Traverse. Continue on your journey towards the gondola, and pass under the Sublette Quad Chair and then up and under the Tram. You will see the top station “Thunder Ski Lift” and from below the tram appears enormous. The next part of the hike is wonderful, with cliffs above and real, raw, wild scenery. Continue along this route and head down hill – you will descend over 500m today. As you go along, your route back up to the gondola will be apparent. Follow this and the last push to the gondola station just may justify the most expensive snack shop in all of the Tetons! To get to the Cirque Trail, head back down to the tram and continue past the route to the right. There are signs for the Cirque Trail as it heads down the mountain. This hike is extremely steep in one or two sections, so if you have very small children, you may want to consider a different trail. This path is, however, scenically dense – it crams in so many unbelievable views into just under 4.0km. 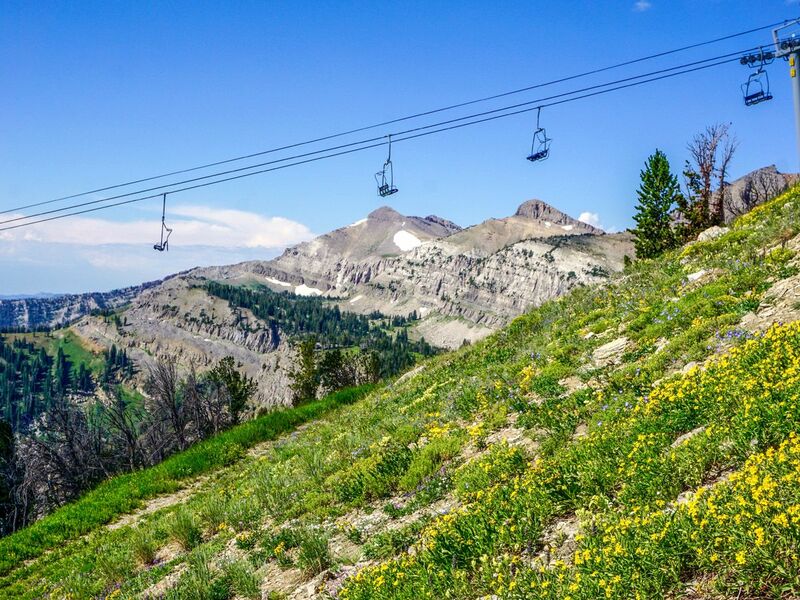 As you hike down the trail you will pass under the gondola and through several alpine meadows with beautiful wildflowers. 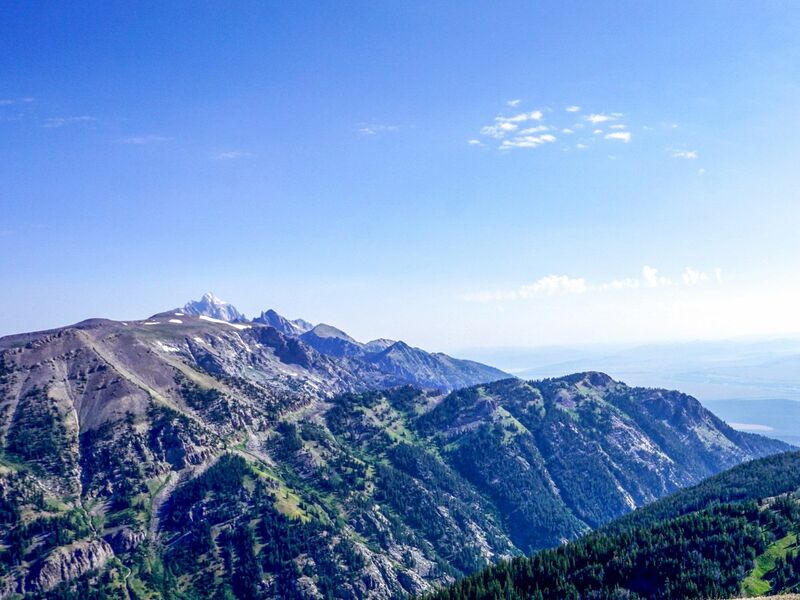 Make sure to look out over the expansive plane beneath the Teton Range, and savor the Jackson Hole in the distance. You will finish the hike at the gondola, where there is a small restaurant and cafe. Ride the gondola down and take time to explore the rest of the village. Skip breakfast and grab a waffle at the Top of the World Waffles, located just below the summit of Rendezvous Mountain. There are several other trails that explore the top of the mountain. If you have enough energy check out some of them – get the most out of your gondola ticket! 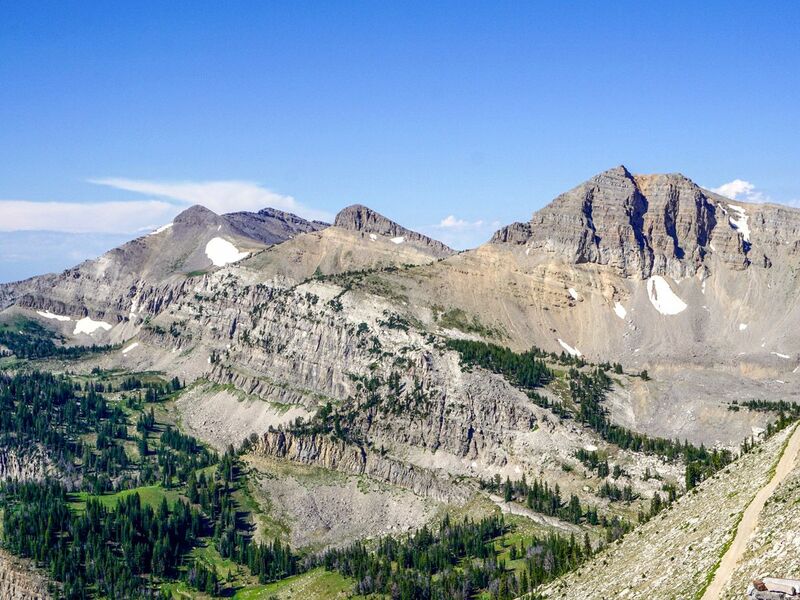 Another option is to do the Granite Canyon hike, a 20.0km downhill hike that goes into the park then returns to Teton Village. Although this is a classic hike, we found it to be quite boring. Teton Village has tons of activities for families. There are ropes courses, rock climbing, a small playground. water jets and a large extra high trampoline. Let the kids expend some energy while you're at the bottom.